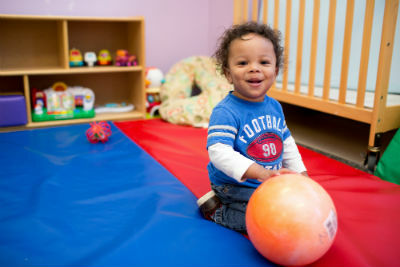 Our infant program focuses on the emotional bonds that are vital to a child’s healthy development. We will assign one caregiver to be the primary person for each child and their family. Our program is structured around the individual needs of each child therefore, we learn and adapt to their daily routine. We will create an environment rich with sensory experiences enhancing motor development, cognitive development, language, problem solving and social development. 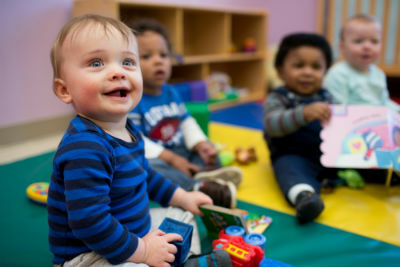 Infants in our program enjoy a warm playful atmosphere enhanced by age-appropriate toys, books, play equipment, music and lots of tender loving care. The thoughtfully planned environment includes open spaces, with hard and soft surfaces, a feeding area, a sleeping area and outdoor play yard. Our Music teacher works with the infants once a week exploring music, rhythms, rhymes and movement. The daily routine for each infant in our program is unique as it is based on the individual needs of the child. Infants are fed, changed and nap when they need it. 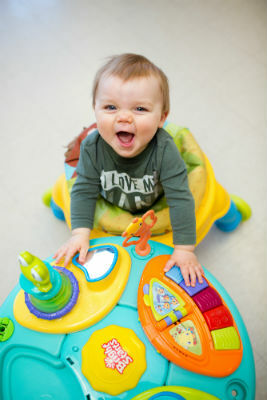 Therefore, our caregivers adjust to the infant’s schedule in order to accommodate their needs. 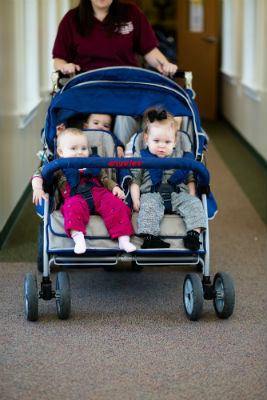 Our experienced caregivers form a caring, nurturing and responsive relationship with each infant. This relationship is enhanced through the daily interaction and communication between the parent and the caregiver as it relates to the child’s development and needs. A daily report of your infant’s day will be filled out and provided at the end of each day. 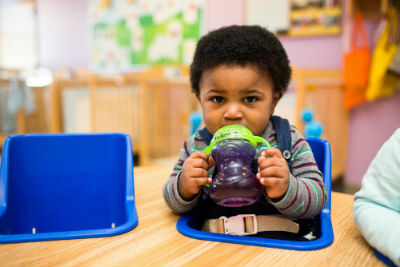 This daily report records each time your infant eats/drinks, naps, diapers, as well as, provides a general overview of your infant’s mood and activities enjoyed during the day. 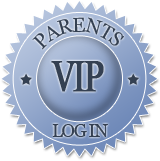 We welcome our infant parents to call directly into the classroom each day to get a verbal update on your infant’s day. And of course, parents are welcome to drop in at any time to observe their little one in action. A written child evaluation is provided to each parent 3 times a year showing your child’s progress and developmental achievements. These reports are completed in November, February and June. Parents are encouraged to set up parent/teacher conference to discuss the evaluation one on one with the head teacher.